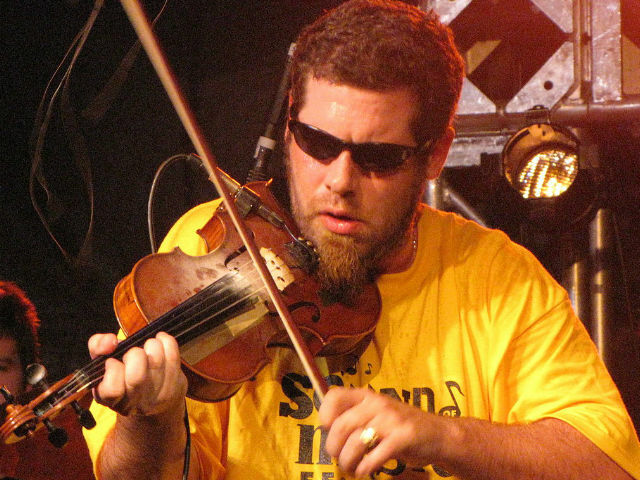 We are happy to welcome master fiddler Ashley MacIsaac back to The Sanctuary - Centre for the Arts. Ashley has garnered international acclaim by playing the fiddle in that hard-nosed, traditional Cape-Breton style, while adding his own spin, mixing genres and updating Celtic music to appeal to a broader spectrum of fans. Considered something of a local legend and prodigy by the time of his impressive 1992 debut Close To The Floor, Ashley broke through to the mainstream with the double-platinum genre-bending Hi, How Are You Today? in 1995. International radio play for the single, Sleepy Maggie, and a regular slot on MuchMusic made Ashley an instant Canadian icon. Doors open at 7:30 pm, show starts at 8 pm. This is a seated show.